Sure, a cozy bed and a warm bath will get you relaxed and well rested—especially after a long flight. But sometimes, it’s not just about the journey – this extends to the hotel and how it can help your trip be not just more productive and efficient but also enjoyable as a whole. Should you decide to extend your work trip into a leisure trip, answer this: will you stay at the same place for both the business and leisure portions of your trip, or choose a new hotel? 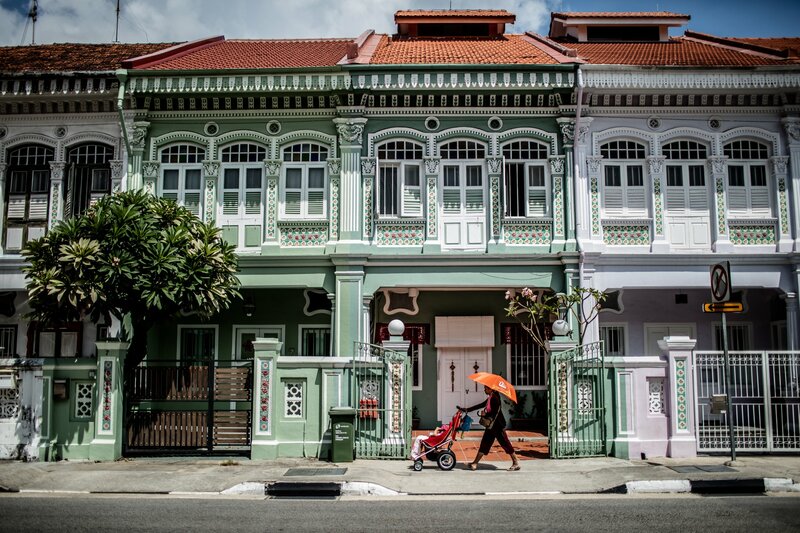 As the lines between corporate and leisure travel become increasingly blurred, a handful of hotel properties have answered the call — say hello to the rising trend of ‘bleisure travel’ among young Singaporean professionals. These hotels offer business-meets-leisure experiences through technology, carefully designed communal spaces and networking opportunities. From in-house neuroscientists to an office that is in close proximity to a surf location, these addresses aim for travellers to leave feeling refreshed, more energized, sharper and most of all more productive. This hotel is calling all technology enthusiasts. It’s one of those hotels you can rely on if you forgot your Macbook. Every room is equipped with a Mac mini where you can surf and stream the web and use for Facetime calls. With an upgrade to a suite, you’ll receive an iPad to use during your stay. 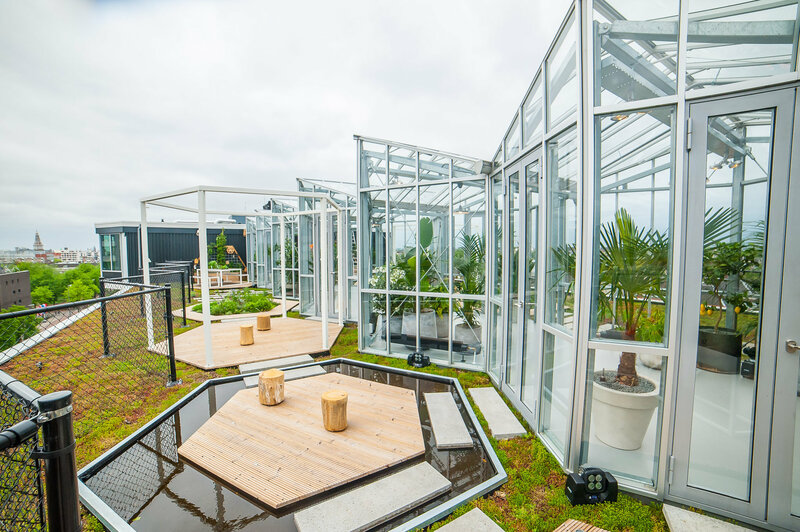 The hotel is not just tech-friendly, it’s also stylish, depicting 5 elements such as the trees, soil, ponds, sunshine and buildings that co-exists in the heart of Thailand. The hotel promotes wellness and is definitely a hotel that every business traveller should consider in order to have a productive trip. 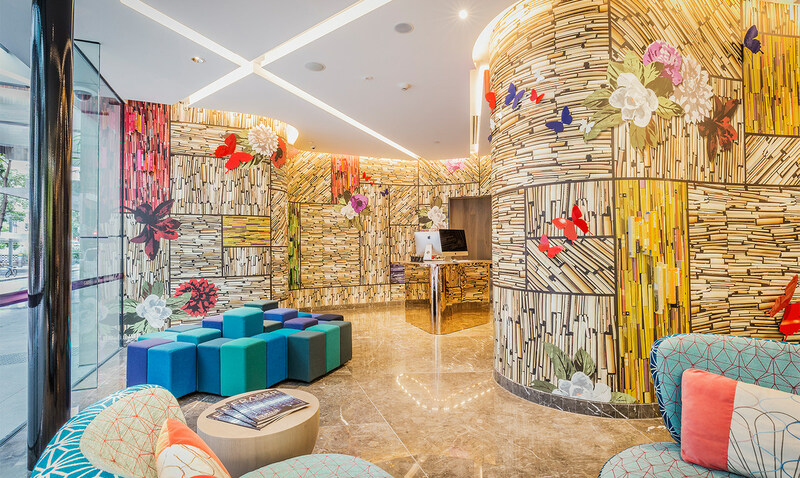 Capri is a funky hotel that has a cool and calming environment that has a book-patterned wallpaper to pay homage to the building’s history as a former bookstore. All rooms are equipped with a nifty ergonomic work desk that can be converted into a makeup table. Take a break from work at the in-house Spin and Play Laundrette to play some foosball or be a kid for a while and play X-Box Kinect. The hotel has an iPad touch screen for check-ins, a high-speed wifi connectivity, USB ports in all bedroom walls and a heat technology for lamps so you don’t need to walk over to the switches. Talk about being super productive and efficient, this hotel is designed for mobile professionals in mind. 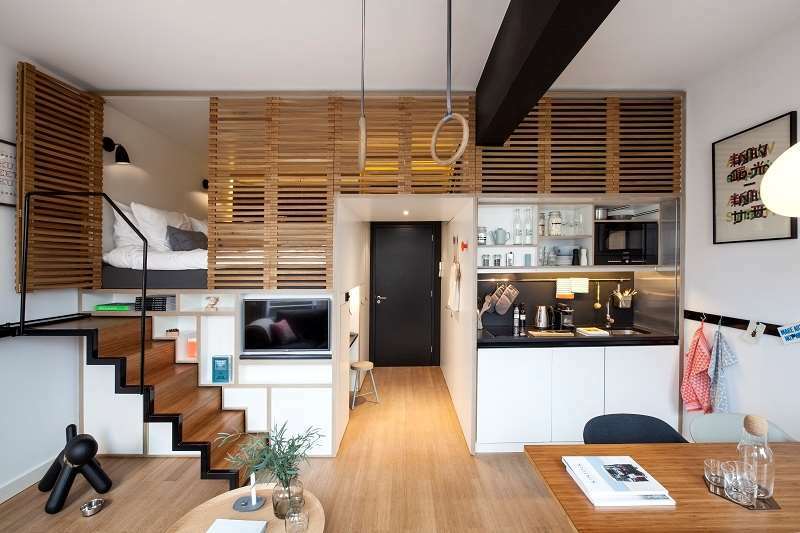 The founders of Zoku designed this short-term and long-term hotel by being inspired with the shift in work and lifestyle habits from around the world. Their loft-like rooms are carefully designed with thoughtful layouts and large dining tables to facilitate your deadlines and meetings. Need espresso? No problem. The rooms are equipped with espresso machines, a fully equipped kitchen, and international outlets. Forgot your stationery? No problem. Zoku even offers a handy ‘office toolbox’ with markers, elastic bands, Apple TV, notebook, pens and more. And if there’s a need, they have a 3D printing service available so you don’t have to go out of the hotel to find one. 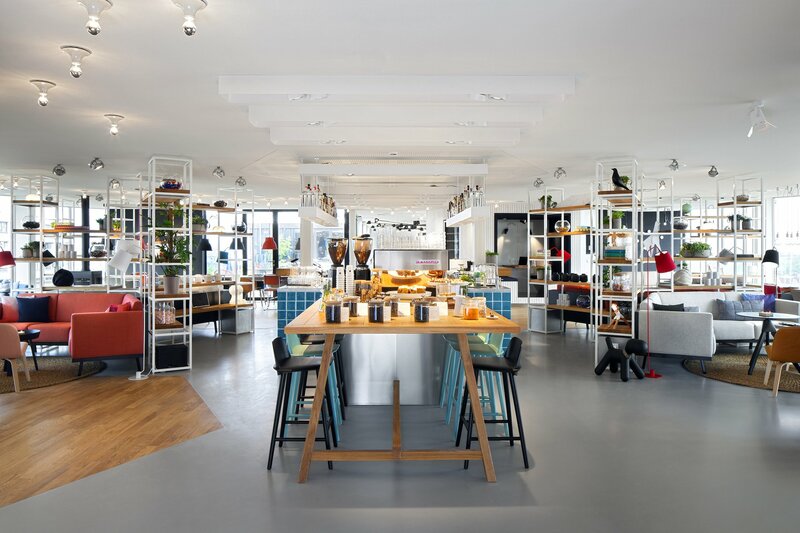 Zoku is also one of those hotels who encourages bright minds to connect and network. With the hotel’s open-plan design, guests are free to utilize their living area and communal spaces designed just for that purpose. This hotel has a strong philosophy — being tech-forward. 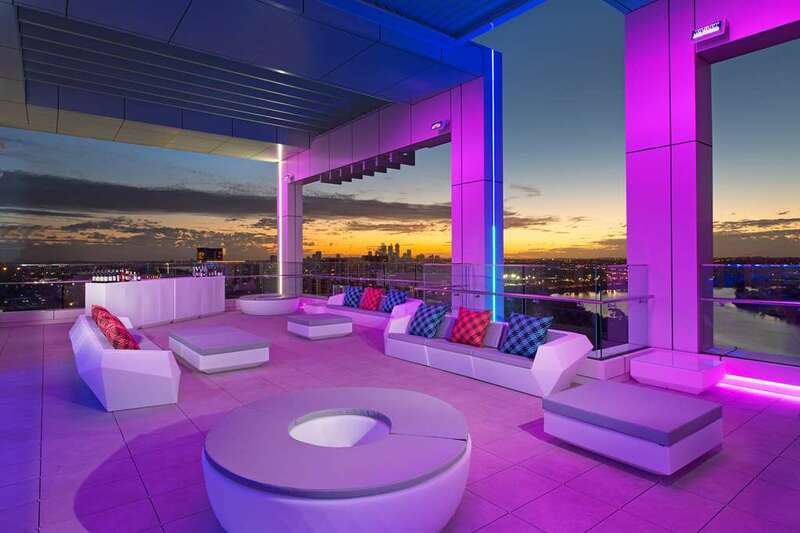 Aloft has recently given guests the power to unlock rooms from the palm of their hands—using their own smart phones. Before arriving at the hotel as a guest, you’ll receive a text notification that your room is ready with the room number. Skip the check-in line and go straight to your hotel room and wave your smart phone at the door. 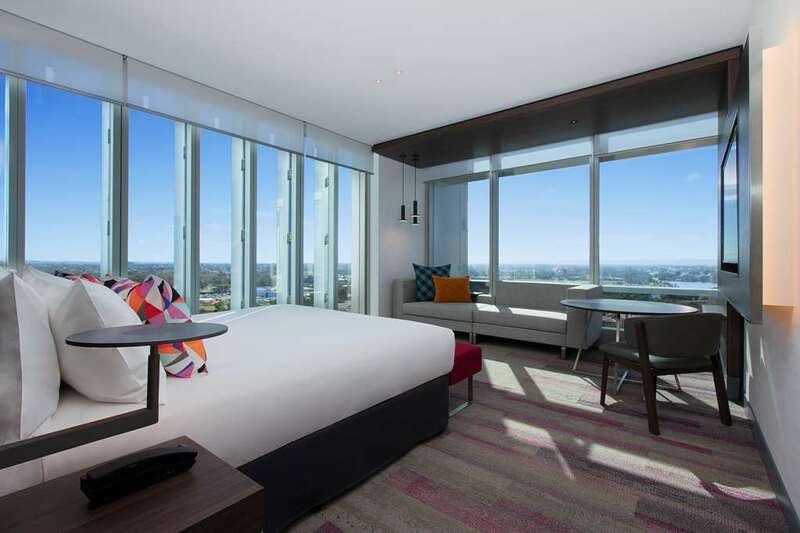 The latest addition to the Aloft is Botlr. The robotic butler. Neatly dressed to impress every guest at the hotel, Botlr assist guests with deliveries for anything and anytime. Botlr will send over towels and toiletries. All you need to do is request them through your smartphone. He even accepts tips—but in the form of tweets. 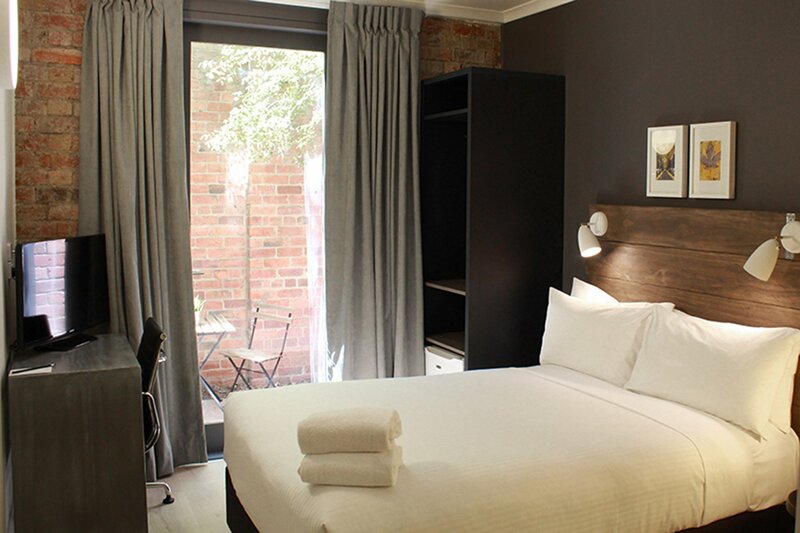 In the inner city of Melbourne, Pensione offers business travellers a home away from home. Travelling for business can sometimes make you homesick. But it’s charming European-style building exudes a warm, homey feel. 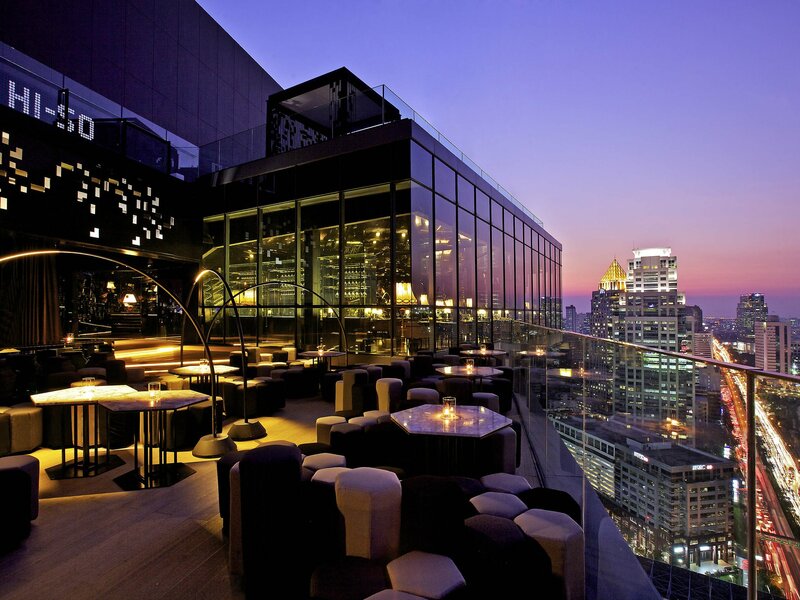 It’s also simple to explore the city from this hotel. It’s surrounded by many eating and drinking spots where you can set a meeting or get work done. 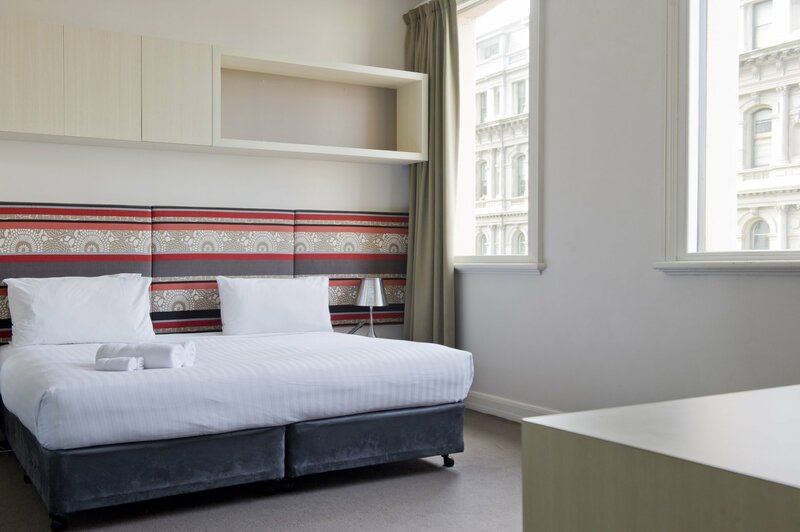 Getting by around the city is conveniently easy as the hotel is located a stone’s throw away from Southern Cross station. After all the travelling and meetings, work has its way of sucking all that energy from you. But this hotel has its way of making sure that your brain is back to full power the next day. 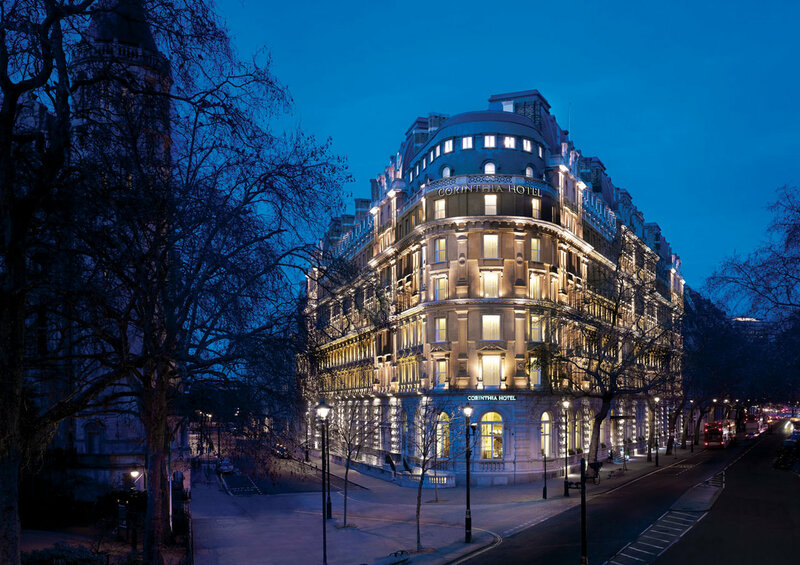 Located in London, Corinthia is one of those hotels who knows what every business guests with high-intensity profession needs— an in-residence neuroscientist, Dr. Tara Swart. 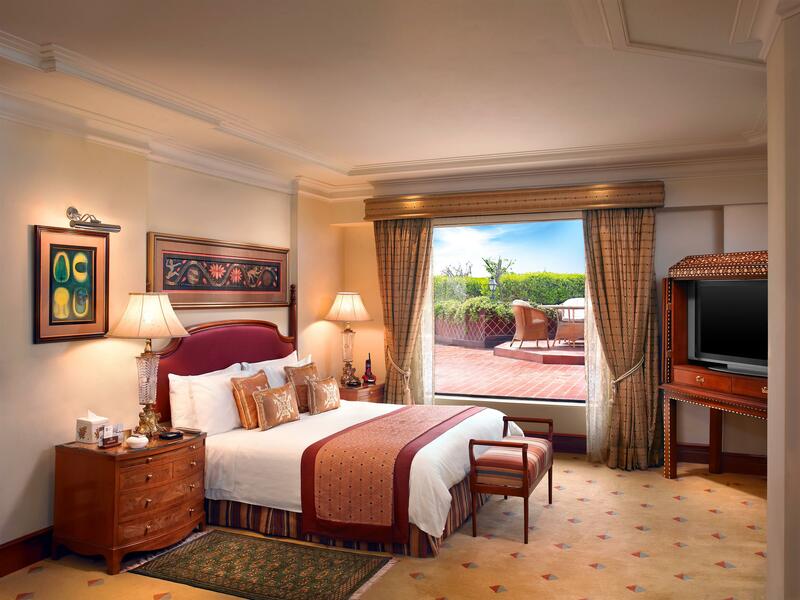 To maximize your brain health, guests can opt for the Brain Power Package. 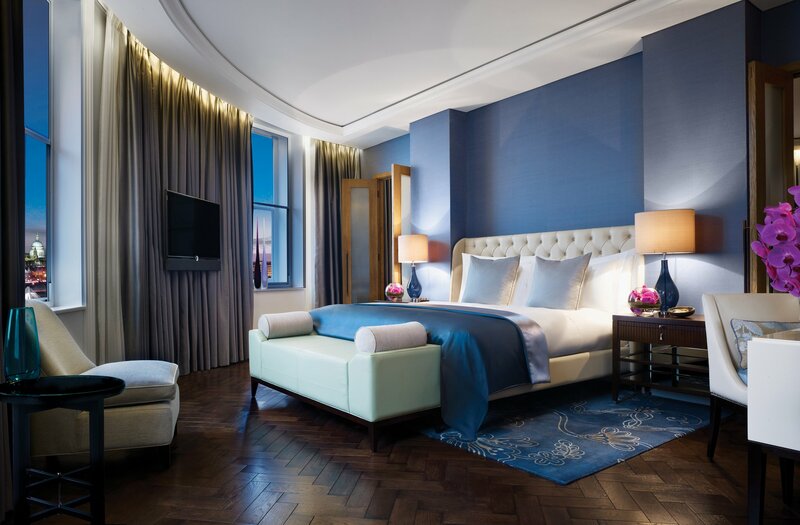 It aims to help guests be very mindful in the bustling city that is London. Dr. Tara will also talk about the science behind the brain and what type of nutritional brain foods guests should take to boost brain power. The package addresses crucial brain needs such as sleep and hydration. The hotel is a quirky mix of art and local culture. With each of its sub-brand hotels carefully curated to look, feel and scream culture within its own neighbourhood, every hotel in every city is an open-top museum to create more than just a place to stay. 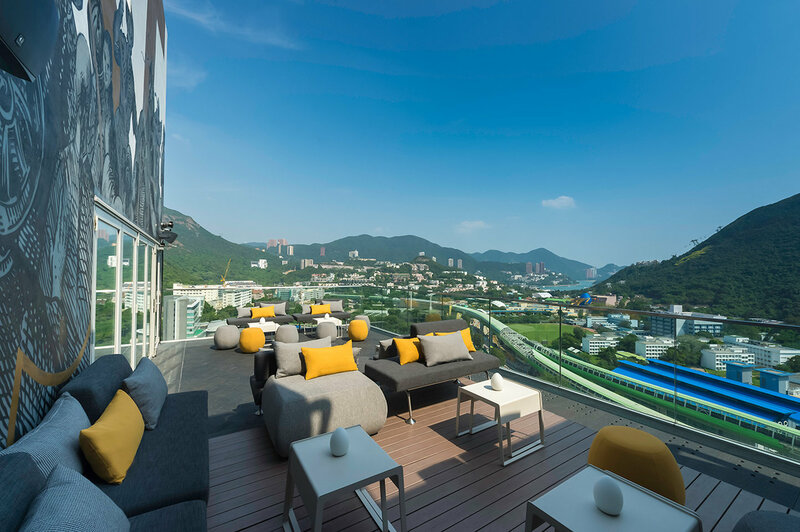 Boasting sufficient amenities to meet your business needs, Hotel Indigo is currently available in neighbourhoods in Asia, Americas, Europe and Greater China. 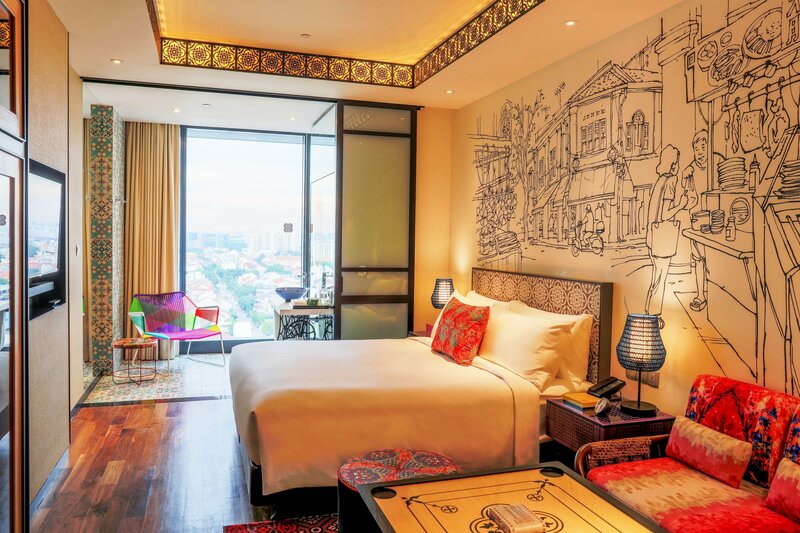 It’s recent new edition, is Hotel Indigo in Katong, Singapore. This hotel would be an art and photography enthusiasts dream hotel. Perfect place to collect all your inspiration and turn them into an amazing project or business. 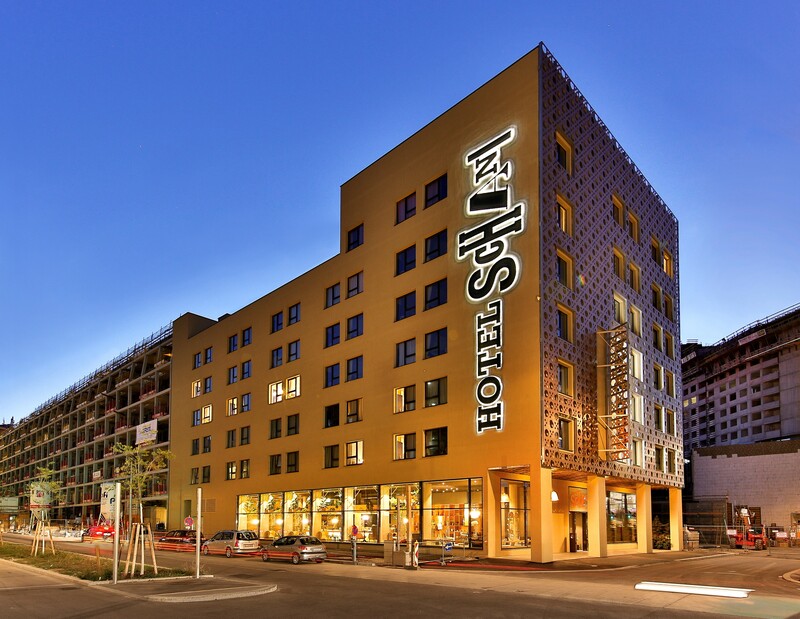 Ever since it opened in 2015, Hotel Schani is known as one of the world’s first ‘co-working’ hotels. The hotel was designed to emphasize on time-saving allowing guests to be super productive and efficient. The idea is to provide seamless processes throughout the entire hotel so guests can focus on a good day of traveling and most importantly for — work. When you stay at this hotel, you won’t have to wait in line to check-in— and you’ll receive a mobile room key. Other facilities to make your stay more efficient and productive is you can select your room online, use Bitcoin to make payment, electric vehicle charging stations and electric scooters for rent. In addition, to make guests stay productive and efficient, Hotel Schani Wien’s wants to inspire art in every guest that walks into the hotel. They even have an area called “the living room” so guests can collaborate, exchange ideas, have conversations and work on projects with local and global cooperation. As part of the Mojo Nomad coworking space community and programs, this hotel was designed for modern-day entrepreneurs who are constantly on the move — hence the name ‘Mojo Nomad’. 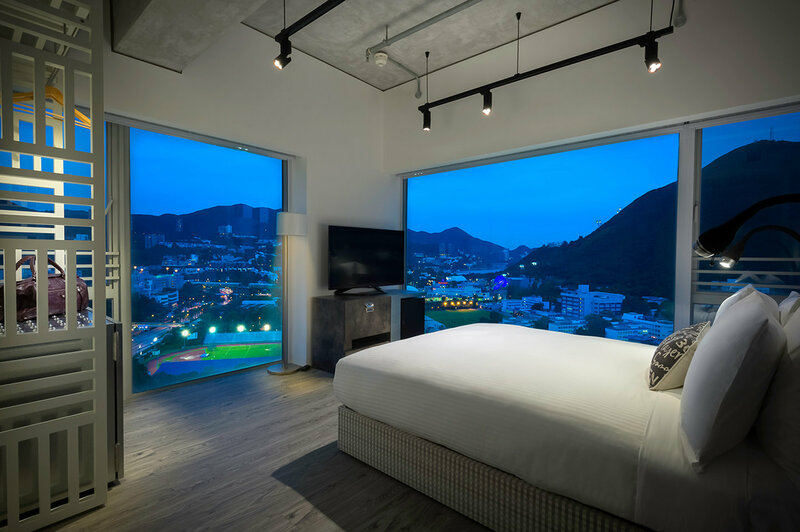 Ovolo understands that entrepreneurs travel frequently to where the business opportunity arises. And it’s not always easy to settle in a new country and having to think of running a business. While budding entrepreneurs think of how to develop their businesses, Ovolo ensures that you can be productive and efficient by providing high-speed wi-fi connectivity, wifi connectivity city-wide, free breakfast to fuel the body, free self-laundry, and a hotel ambassador to cater to every business needs. Along with your business mojo, you’re sure to be inspired by the artistic warehouse-converted hotel vibe. In addition, the hotel holds regular networking events, bringing together a collective of individuals with unique backgrounds. 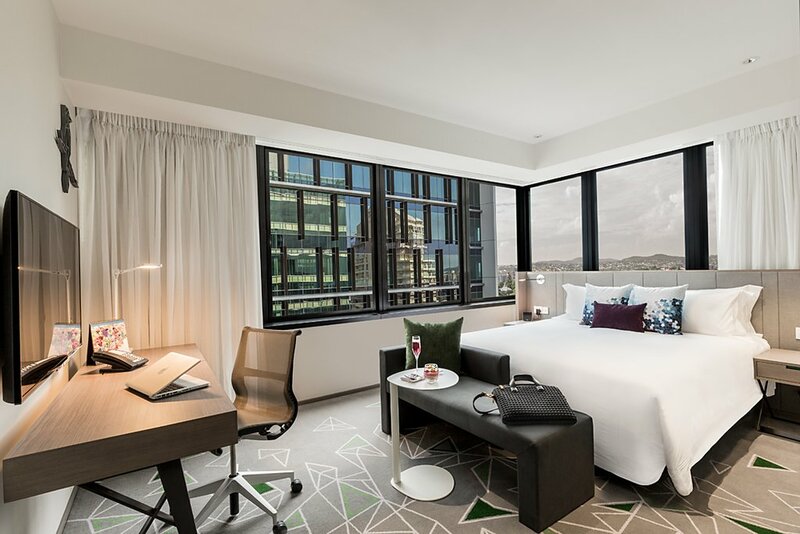 Other Ovolo hotels are also available in Sydney and will soon expand to Brisbane. As the preferred residence of visiting heads of state and global business leaders for over 25 years, the architecture of this hotel pays tribute to the age of the great Mauryan Dynasty, which created the golden era of Indian history. The unique façade of the hotel rises up in steps in the style of a Buddhist stupa, making the structure one of Delhi’s most iconic. This hotel is known for impeccable service with traditional sensibilities and contemporary facilities that include soundproof rooms, a pillow menu, massage chairs, butler services and for the Grand Presidential Suite, even a microbiological laboratory for food testing! If you’re staying there, be sure to check out The Sleeep® Ensemble, which includes an eye mask, ear plugs, pillow mist, a stress reliever spray and a flash drive with music to enhance your sleep experience. 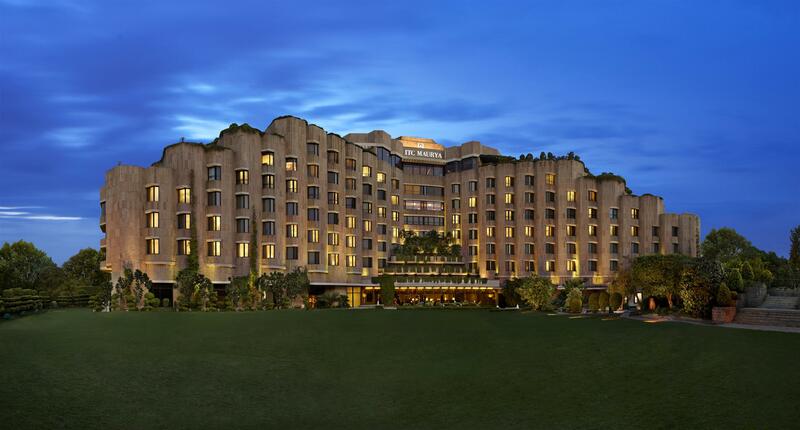 Environmentally-conscious travellers will be happy to know that ITC Maurya is a Green Hotel endorsing Responsible Luxury and sustainable practices. *The flight price (including taxes and fees, excluding baggage fees) for one return economy seat and was collated on 3 August 2017 for travel in September – October 2017 from Australia to the destination listed, unless specified otherwise. Prices are in AUD, may be subject to change and offers may no longer be available. Emirates has set a new benchmark for long-haul flights, with its recent announcement of a direct route between Dubai and Panama which will last an exhausting 17 hours and 35 minutes.